This rhodium plated big link chain bracelet from Guess takes influence from the legendary American fashion house with its unique styling, use of quality materials and gorgeous sparkle. 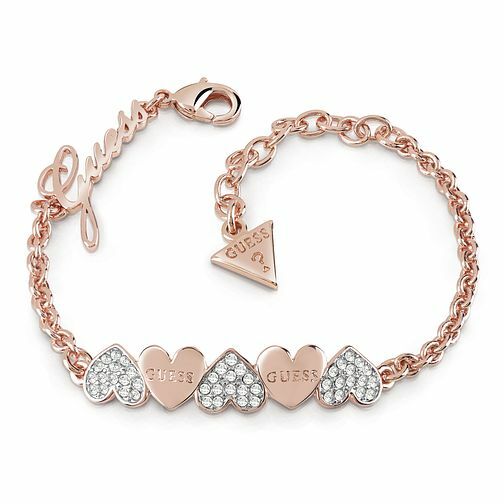 Guess Rose Gold Plated Rhodium Plain Heart Row Bracelet is rated 5.0 out of 5 by 1. Rated 5 out of 5 by Anonymous from bracelet lovely hearts Delivery was very quick especially at Christmas time. The item was just as described and I'm sure the family member will enjoy wearing it.